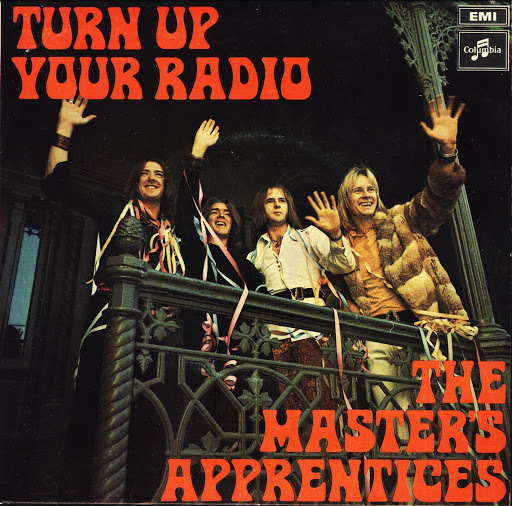 Song of the day: The Master’s Apprentices – "Turn Up Your Radio"
So I’m reluctant to say that I’m not entirely inclined to believe the band’s singer, even though he would theoretically be the man to ask. I’m sticking with what I see. And what I see is an apostrophe. I also have an apology to make to commenter Neil. I told him that I was going to accept Jim Keays’ solemn avowal that the band doesn’t have an apolostrophe anywhere in its name, but faced with the above record covers and labels I just can’t do it. Sorry about that, Neil. 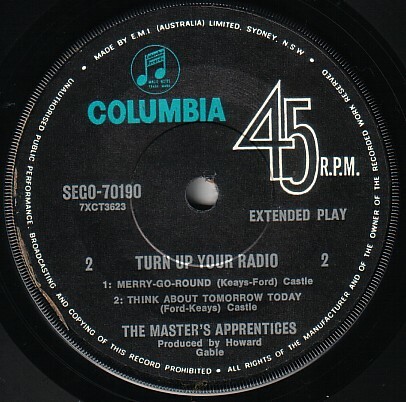 By the way, leaving aside contentious apostrophes, “Turn Up Your Radio” is a song I used to play in the band I was in – and thoroughly enjoyed it, because it’s a heap of fun to play. 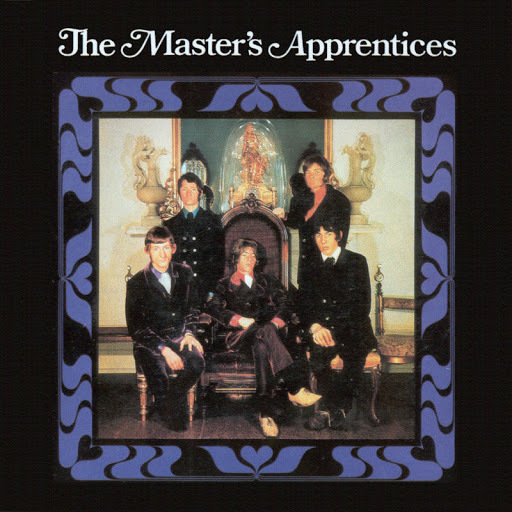 Song of the day: The Master’s Apprentices – "Living In A Child’s Dream"
A lot of rock bands went hippy in the late 60’s and The Master’s Apprentices were no exception, no doubt influenced by their time spent in England recording their first album whilst soaking up the local atmosphere (“Look! There’s John and Paul! There’s Mick! There’s Keith! Wow!” etc) and listening to every single British band going hippy. Speaking of influences, “Living In A Child’s Dream” reminds me of The Kinks when they went hippy. “Living In A Child’s Dream” probably doesn’t sound like The Kinks (you may be able to discern other influences), but that’s who I think of whenever I listen to the Apprentices’ ode to trippin’ out on acid and imaging you’re a kiddy playing with imaginary psychedelic toys. 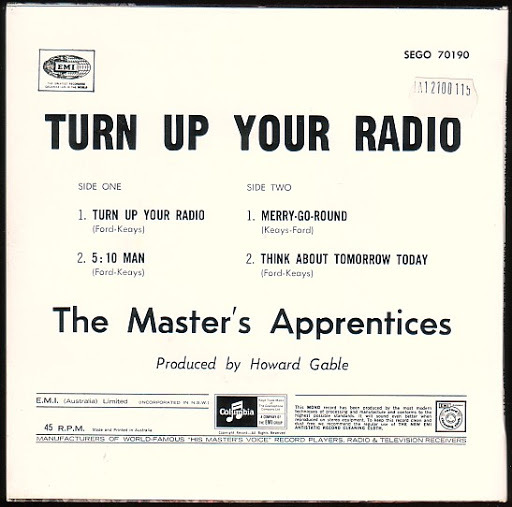 Despite the blinding clarity of that cover, on subsequent single and album releases the band (or their record company, or their management, or their publicists, or someone) called them “Master’s Apprentices” or “Masters Apprentices” (without the apostrophe) or “The Masters Apprentices” (still without the apostrophe). Boy, rock music history can be confusing. 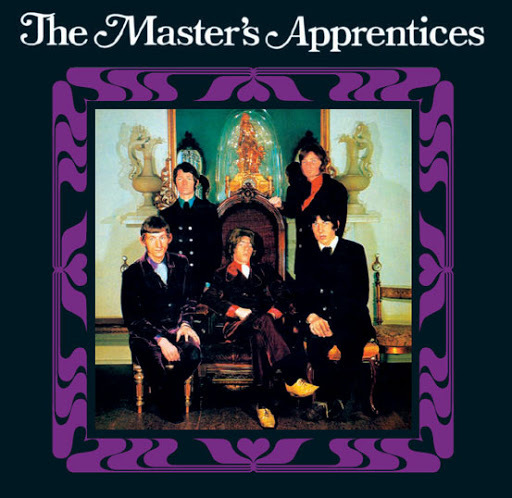 Song of the day: The Master’s Apprentices – "5.10 Man"
OK, let’s start with the name. The band’s name varies depending on who you consult. 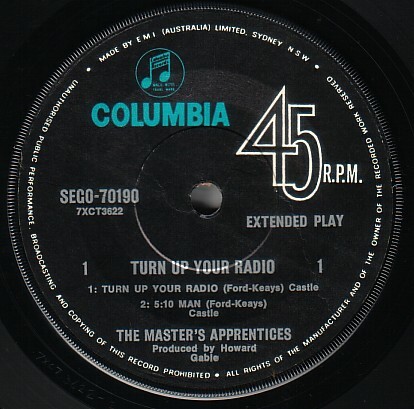 Wikipedia calls them The Masters Apprentices. “So what? It’s a good name,” I hear you say. It is – but where’s the apostrophe? One of my pet linguistic hates is the inappropriate use of, or missing, apostrophes. It bothers me to see no apostrophes anywhere in this band’s name. To people who have better things to do with their time this will be no problem whatsover, but it bothers me. Are they (the band) apprentices of one master or a number of masters? In other words, are they The Master’s Apprentices or are they The Masters’ Apprentices? Or is Wikipedia messing with my mind? Wikipedia’s definitely messing with my mind. And so is Milesago. 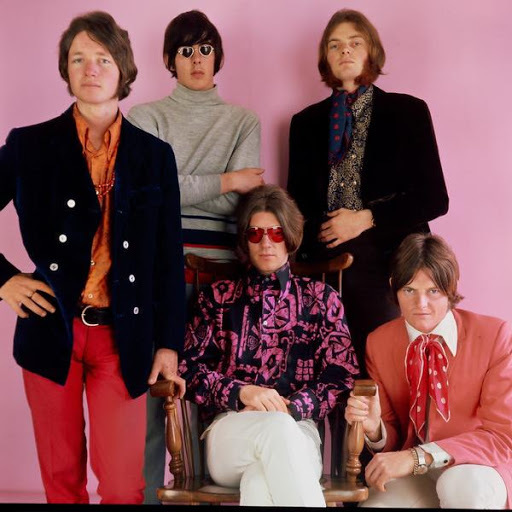 I love Milesago, as it’s probably the most authoritative online Australian rock encyclopedia, but they also call the band The Masters Apprentices. No apostrophe again. Grrr. It seems that Wikipedia, Milesago, and plenty of others have all decided that the band’s name is The Masters Apprentices. Well, I decided to go to the source and consult the band itself. It’s “Master’s Apprentices”. Now, that makes sense. Now, where was I? Oh yeah. OK, on to the song. I find “5.10 Man” odd, odd, odd. Here’s the second weird thing about the song. Throughout the verses the backing vocals go “shoo-do-be-do-be-do-be-do” that go up and up and up, and I find them unsettling. I honestly don’t know if those voices are male or female. And I don’t know if they ought to be in a boogie song. Third, there’s the minor-to-you-but-major-to-me bass note in the song’s middle eights. The bass guitar plays the wrong note at the end of each middle eight (at 1:12 and at 1:53), which I find distinctly unnerving (I was a bass player in a former life, so bass playing is precious to me – good bass playing even more so). I will stop going on about this and actually let you listen to the song, but there are a couple more things I want to let you know about. Fourth, there’s what seems to be a very clumsy edit at 2:06. The entire sound of the song changes right there. And it’s incredibly noticeable. If I didn’t know better (and I don’t), I’d say a completely different song was grafted on to the existing one. After that clumsy edit comes, without a doubt, the weirdest part of the song: the band goes all 50’s a cappella on the listener (at 2:09), like they’re in a doo-wop group. I don’t know why. And it’s around here that this song is starting to freak me out in a big way. Anyway, as the doo-wop continues, the boogie music comes back in and then they all fade out. OK. I think that’s it. I think I’ve said everything I wanted to say about the song. It weirds me out, man. And now, finally, the song. Hopefully you’ll still want to listen to it, despite my unhelpful nitpicking. Thanks for perservering. You are currently browsing the archives for the Master’s Apprentices category.